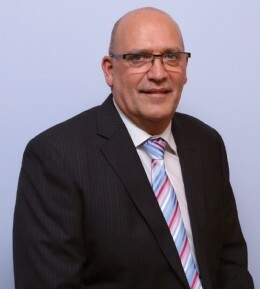 Les Littlewood, Sales Director of Albion Valves (UK) Ltd welcomes the increased focus that SAFed has brought to this area and believes the new guidelines bring more clarity and deeper understanding to operations. It is a well-known and sobering fact that industries such as industrial processing and manufacturing, along with construction suffer the highest occurrences of workplace injuries and fatalities. However, by adhering to a few simple steps it is possible that selecting the appropriate parts and not cutting corners can help avoid catastrophic risks associated with using the wrong valve for overpressure protection. Although there has been improvement in health and safety at work, more can be done to help further reduce the number of incidents including ensuring the products specified are fit for purpose. The SAFed guidelines address the issue of replacing valves in a highpressure system and make the case for getting it right first time. The guide focuses on areas such as optimal set pressure, discharge capacity of valves and design temperature of valves. 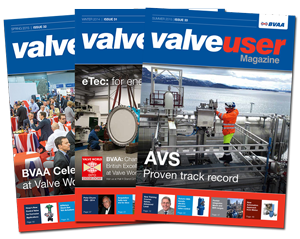 It also highlights the risks of using pressure relief valves instead of safety valves, a malpractice which has become increasing problematic in recent years. Les commented: “There has been a lot of confusion in the industry regarding the appropriate technology to use in pressurized systems, with many contractors using pressure relief valves. In a pressurized system both safety valves and pressure relief valves are used as the last safety device, however engineers need to be mindful that requirements can vary significantly from system to system, and increasingly valves must now meet the EU’s Pressure Equipment Directive (PED) to guarantee safety. To help promote safer working environments, specifiers should be vigilant and ensure they have the correct accreditations - be it ATEX or PED or by ensuring the valves are anti-static if the environment requires it. The majority of Albion’s distributors have customers operating in workplaces, where explosive atmospheres are commonplace. This includes environments where industrial processes may release flammable gases or poisonous vapours. As such, Albion has added a range of fire-safe, anti-static, stainless steel ball valves to its portfolio, designed to prevent the leakage of hazardous substances from the valve in the event of a fire. Valves that meet the API STD 607 requirements should be able to retain the pipeline media long enough for the fire to be extinguished - to avoid fueling the fire further. Fire-safe valves are also required to be operational after exposure to fire in order to move from the ‘open’ to the ‘closed’ position. Similarly, another industry safety net is ATEX. The ATEX certification mark is designed to minimize the risk of fire or explosion arising from the ignition of dangerous substances in the workplace. As SAFed recognizes, high-pressure systems operating above 0.5 bar pose a significant safety threat to engineers and industrial staff. In this instance pipework, valves and fittings are required to be compliant with the Pressure Equipment Directive (PED) to ensure the equipment is able to withstand pressure and prevent system’s bursting. 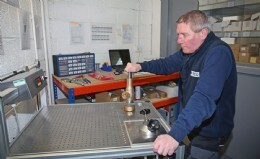 Albion’s range of safety valves is based on a traditional model; they have been improved to bring them up to date with modern valve design and performance. They come with a unique 2-piece spindle to ensure they are safe and tamper-proof even if some form of external restraint has been applied.